Artisan Spotlight w/ Bird & Bear – Fontenelle Supply Co. Recently Bird & Bear (Danny) had a chat with the gentlemen of Fontenelle Supply Co. to get a better feel for their passion, drive, and direction with their company. Fontenelle Supply Co. is made up of four long-time friends who share the same passion for forgotten American trade skills and manufacturing. 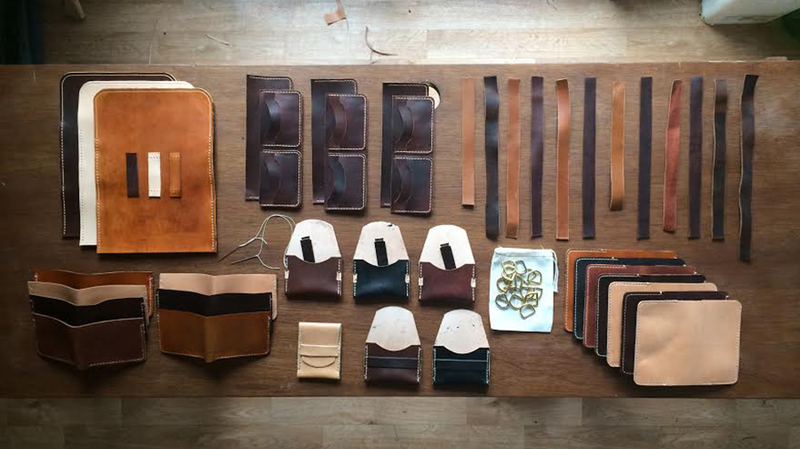 We operate out of a small workshop in Des Moines, IA and specialize in vintage tool restoration and the traditional manufacturing of leather goods. The inner workings of Fontenelle is a collaborative effort made possible by the support of the FSC wives. What started out as a small hobby has become a lifestyle not only for the founding members, but for their families as well. We restore vintage farm tools; anything from small tack hammers to 19th century broad axes. We also manufacture leather goods; everything from key fobs to custom motorcycle seats.everything from key fobs to custom motorcycle seats. Fontenelle Supply Co., as a brand, was incorporated in March of 2014, however, we have been making leather goods and restoring axes since 2012. What got you interested in your craft? Our company story began out of practical necessity. Winter of 2012 came around in Omaha and we were eager to begin using the old brick fireplace in the house where Fontenelle was born. 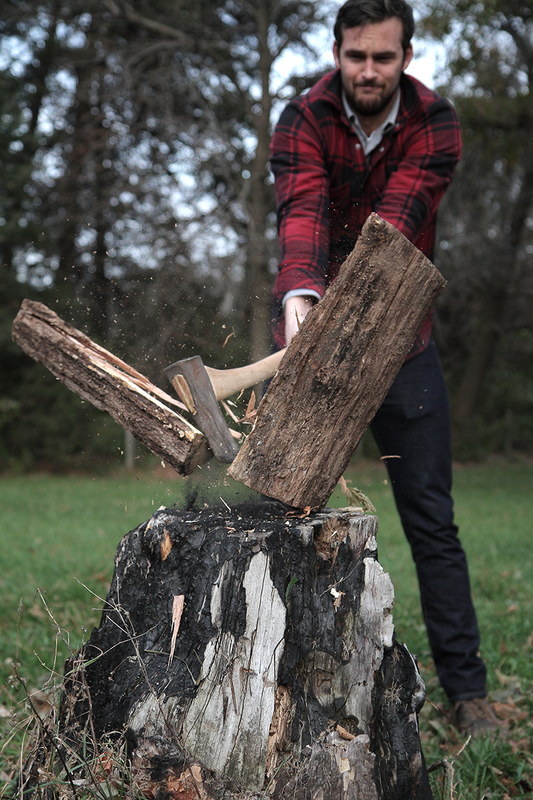 There was an old hardware store axe in the basement and some unsplit firewood, so we set about splitting and stacking. We found out about five swings in that the fiberglass handled tool was of poor quality and proved to be both inefficient and dangerous. In an effort to find the best tool for the job, we soon realized the solution could be found in the far superior axes of early to mid-century American tool manufacturers. Through online resources and old Boy Scout handbooks, we taught ourselves how to restore vintage American axes and we haven’t looked back. Most interesting/challenging product you’ve made? Great question. The shop just finished up a custom motorcycle seat for a local customer. In order to do so, we restored a vintage industrial Singer sewing machine and taught ourselves traditional upholstery methods. Most of the time, the more interesting or challenging jobs we take are the ones in which we have to teach ourselves a new skill or set of techniques. We consider ourselves lucky to have deep blue collar roots in Midwestern America. Our grandfathers were farmers, outdoorsmen, factory workers, and avid campers. Because of this, we grew up instilled with the values and traditions of old and the responsibility of passing that on to future generations. Do you have a mentor or did you study under someone? Our mentor from the beginning has been a man named Jason Noble. He taught us, among other things, the importance of resourcefulness, hard work, and the endless pursuit of quality. Favorite artisan maker (past or present)? Chris Hughes of Artifact Bags, the blacksmiths at John Neman Tool Co., and Jason Noble, master craftsman / renaissance man / general badass. What is your process for designing new product? Establish the utility of the product, then design the aesthetics to make the product as clean and simple as possible. What, if anything, do you think sets you apart from others in the industry? The amount of traditional skills and the breadth of products that we design and make is unique. We are a team of makers as opposed to a solitary maker, so there is a lot of creative input coming from the team, which creates a well-rounded product selection. What can we expect from you next? Anything new on the horizon? We have a couple of projects that we’ve been dabbling in recently. At this point, we are working most frequently on being more accessible and personal by doing more interviews, creating a blog, and teaching classes on our craft. We want people to get to know us beyond just the information on our social media pages. Currently, our products can be found in a few locations regionally. We also operate online via Etsy, which is updated with new products frequently. A select line of merchandise can be found in Domestica and Fugitive Apparel, both located in Des Moines’ East Village, as well as in Denim Saloon, located in Omaha, NE. Here are some links to be kept up to date with what Fontenelle Supply Co. is doing and offering. *Photos belong to Fontenelle Supply Co.
For the original article, please check out our buddy Danny's website.